Ah, the great outdoors! Who doesn’t love to sit out in their backyard, on their patio or their deck, and listen to the birds, feel the breeze, smell the freshly-cut grass…and enjoy the many benefits of propane gas! From the time cavemen huddled around fires to telling stories around campfires, people have enjoyed outdoor activities involving this element. As time went on, the use of propane gas made it much easier and convenient to give in tradition and cook, broil or roast food outdoors. Then came outdoor kitchens, gas fire pits, outdoor lighting and even custom projects that increased the need and demand for propane supply. Yes, from grills to outdoor fire pits, propane simply enhances our outdoor living experience. That’s a fact nearly everyone can agree on. According to a 2016 article from the Los Angeles Times, 3 out of 4 adults in the United States own a grill. Using latest U.S. population figures, that would be nearly 245 million people who have outdoor grills! In 2013-14, the Hearth, Patio & Barbecue Association reported skyrocketing sales for outdoor fire pits. Today, residential propane powers many of the products that make our outdoor living so enjoyable and even practical. Innovation has evolved outdoor grilling to an art; you can choose from small tabletop or portable gas grills to large 3- and 4-burner monsters that can cook enough to feed your entire neighborhood…and then some. There are stainless steel grills; cast iron grills; ceramic grills; grills that cook with infrared heating; pellet grills that use hardwood pellets for that smoke flavor. You can have digital controls, one-touch autostart ignition, rotisserie systems and so much more. There are so many other outdoor propane gas products you can use as well. Gas-powered fryers, smokers and specialty cookers are made to do what your ordinary grill does not. Fryers, for instance, can make fried fish, hush puppies or French fries in no time–just like the restaurants do! Add all of these products to your outdoor living and create an outdoor kitchen that any major chef would be jealous of. Outdoor fireplaces have come an equally long way. They come in all shapes and sizes: round, square, rectangular in stone, steel, concrete, aluminum and more. You can have small fire pits that seat just a few or large rectangular tables that a dozen or more can enjoy at one time. Today, these products are made to look like part of your outdoor furniture or decor while serving a practical role in roasting marshmallows, making s’mores or just hanging out with friends and having a few drinks and laughs. When the weather’s nice, why be stuck cooking indoors? 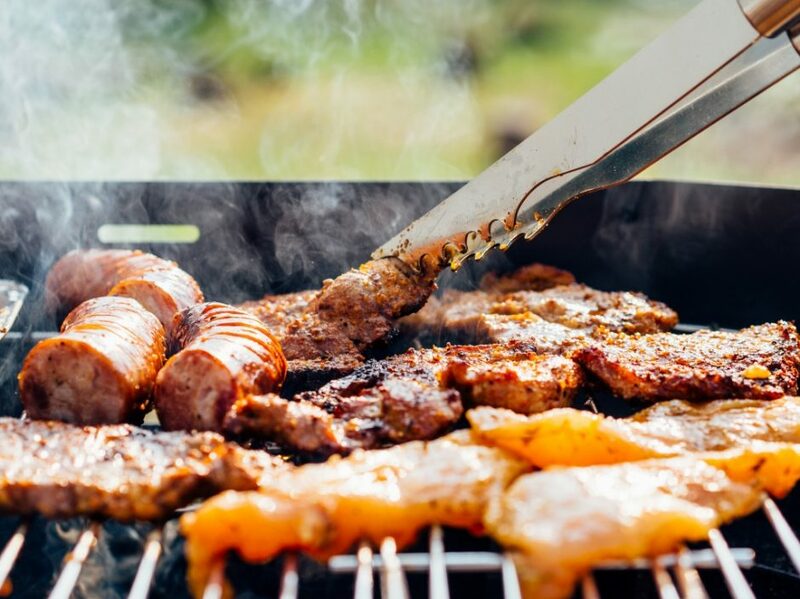 You can have an outdoor kitchen powered by residential propane where you can whip up wonderful grilled meals that the entire family will love, all while you enjoy being outside! Does life get ANY better? But the uses for residential propane don’t stop with simply grilling your favorite burgers or ribs, deep-frying some fish or browning marshmallows over the fire pit. Decorative gas-powered outdoor lighting is also popular. From copper wall fixtures to pole lights, you can spice up your landscaping or provide lighting for your outdoor activities with lighting that uses propane supply. The party doesn’t have to end when the sun goes down when you have propane gas outdoor lighting fixtures that provide the brightness you need to keep the fun going. Use the subsequent pages to get an idea of what outdoor gas products are available. Take a closer look at specific grills, outdoor fire pits, outdoor kitchens and outdoor lighting to find out how they are used and which might meet your particular needs and desires. Also get more ideas for custom projects you can create that require the use of propane gas. Then get out there and enjoy the great outdoors!